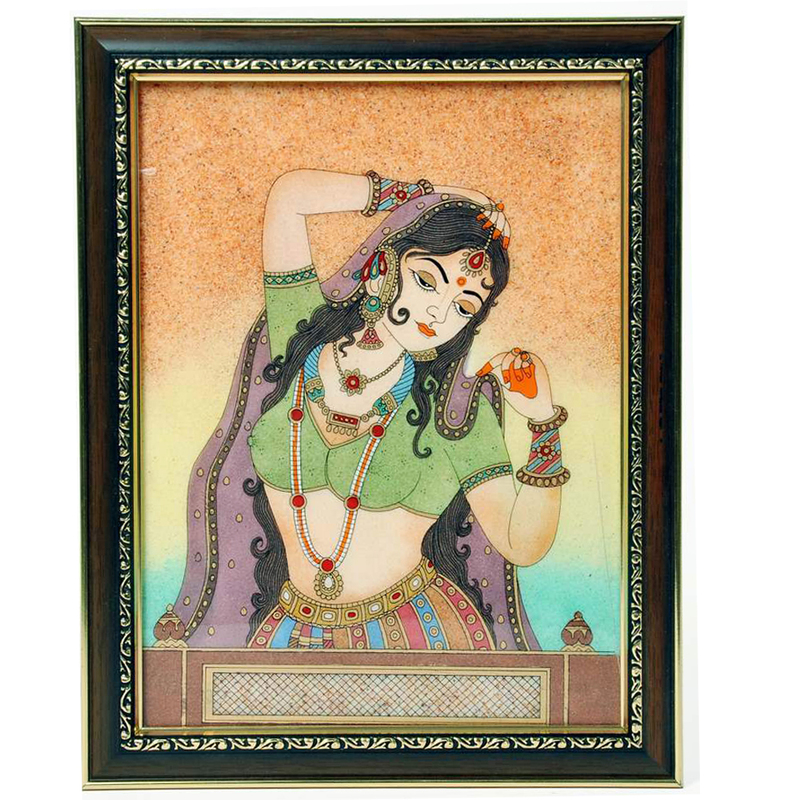 The wooden gemstone painting is a framed one depicting a traditional rajasthani women in the traditional attire of rajasthan. The image depicts a happy mood Read More..and hence placing it on any wall of your house will bring a joyful mood. The usage of colors have made the painting ook quite attractive. This can be a good present for any kind of occasion. Show Less..